Michel Henritzi was born in Metz, France (1959), where he lives and works. He was involved in different industrial and rock bands in the late 70s, before joining the collective Nox. 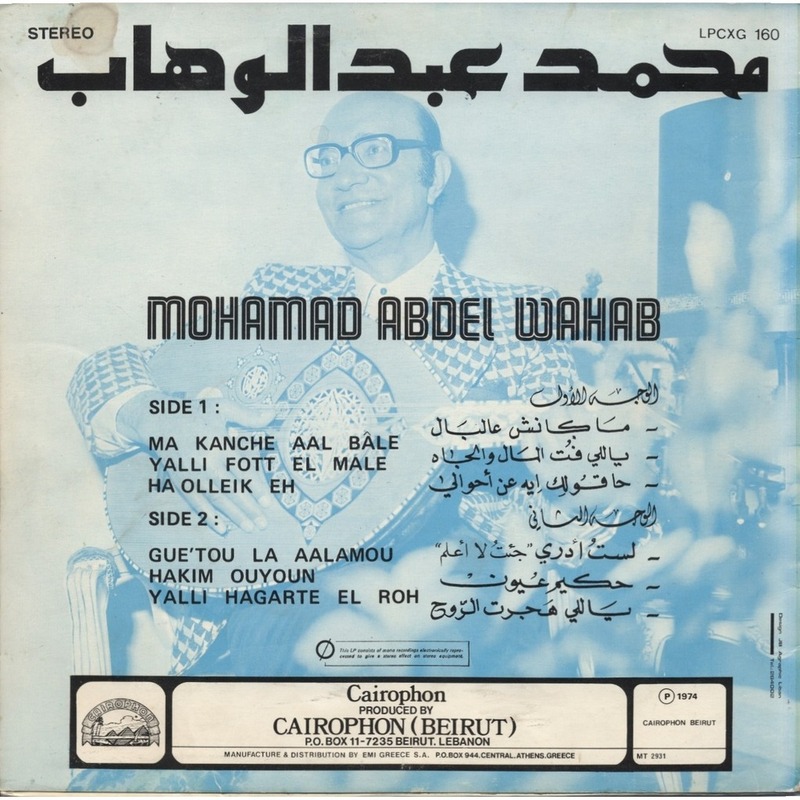 In 1984 he created a cassette label, AKT Production. He also collaborated with American writer Kathy Acker in 1986 on a lecture recording. He has written extensively for different independent fanzines (New Wave, Hello Happy Taxpayer), and continues to write for Revue & Corrigée, the dictionary of independant japanese music, and the web-zine Opprobrium. Since 1988 he has been working with the band Dustbreeders, complimenting his written work with musical action. 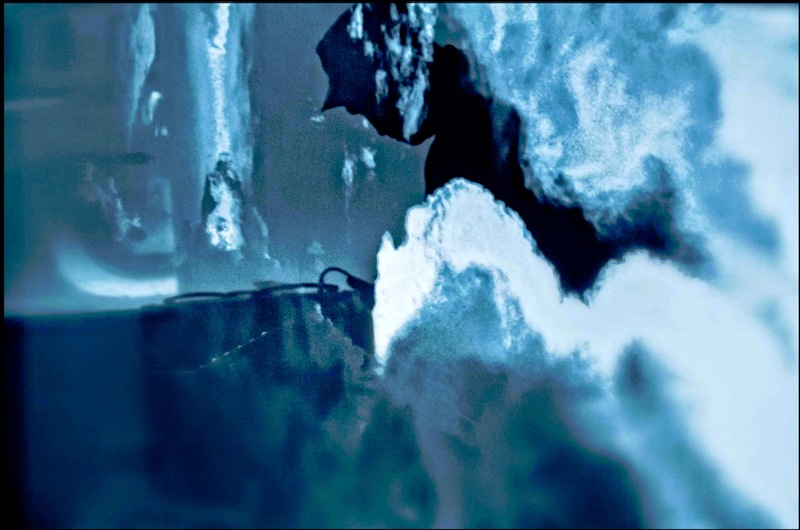 He has mounted numerous productions of different anti-records, an exhibition of vacuum-cleaner bag like a recording, and the covers of La Monte Young & Christian Marclay; he has exhibited and presented performances in art centers and music festivals in France, Germany and Japan. He currently runs the label A Bruit Secret. I think the first sound I identify like a sound object was church's bell ringings. That gave me deep melancolia, I didn't like this sound, it was link with death. But I took consciousness about sound around me. My mother tells me when I was young kid I liked beat saucepan with spoon or keys, I liked noise, I guess like most of childs. Later in school first music I heard was « The 4 seasons » by Vivaldi. I loved it, especially « the Winter », that moves me deeply. I was aware of music like sound object. First record I bought was Pink Floyd « Saucerful of secret ». I listen all things i could find without question of styles, I was just happy to listen many kind of music. I'm still very impressed by Japanese musicians, their syncretism and how they change some idioms in their own stuffs. It is kind of example to follow for me. I dont believe about the concept of new. All musicians just deal with other musics they know, and all musicians repeat always their first stuffs. 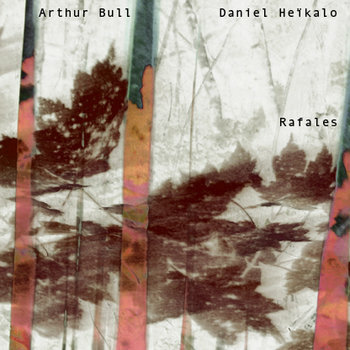 Listen Keiji Haino, Derek Bailey, Loren Connors, it is always similar, just they try go more deep inside their music world. For pop music or improvisation is same. Idea of new things is fake. 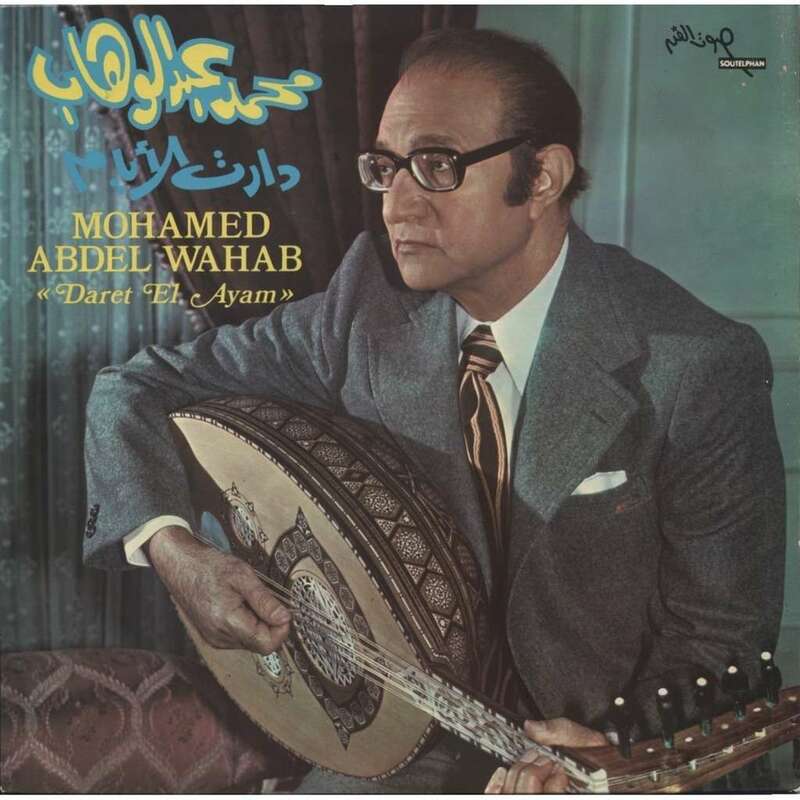 Experimental music is a style of music too, an historical part from 50 to 70s. It is a non sense to talk about experiemntal music today. We just follow our way, what can we do else ? In fact I didn't decided myself. My mother wanted I learn an instrument. I wanted play violin but it was too expensive. So I start classic guitar during 3 years. I hated that. I was very bad student. I started studied my lessons just before go to the guitar class. Most of time I was very lazy. Later in 77 when I heard the first punk records I wanted play this music myself. I bought a telecaster. But nobody wanted play with me, all my musician friends thought I was too bad guitar player so they didnt want include me in their punk bands. I was especially bad to keep regular rythms. I was very dispappointed because I thought than punk didnt know how play guitar just express themselves by sound. By chance 1 or 2 years later I heard a Throbbing Gristle record. I was astonished by their sound collages and guitar way. For me it was real punk music. So I started to play alone in my room noisy guitar with tapes mixing in this side. I used industrial sounds on cassette to mix with my distortion guitar. I was happy playing alone. Little after I discovered the No Wave. For me it was the more interesting way to follow. I had no technics but I could express myself with sounds. To play with Junko (voice of Hijokaidan). For me it was my idol, kind of untouchable diva, i never think play one day with her. She gives me very strong power and deep feeling. So i still surprised how we sound with Junko. With Dustbreeders too, I think we had a really unique sound. So many influences. I listen music over 40 years, every styles and genres. I heard so many things from blues to extreme noise. I care especially of guitar players, guitarists like Taku Sugimoto, Tetuzi Akiyama, Keiji Haino, Donald Miller, Loren Connors, Rowland S.Howard, John Fahey, Derek Bailey, Masayuki Takayanagi, Marc Ribot, Noël Akchote, Kevin Drumm, Blind Willie Johnson, Alan Licht… During long years I stopped play guitar, I was involved in noise music, I love feedback and amp hum. One day I saw « Dead Man » and i was impress by Neil Young soundtrack. 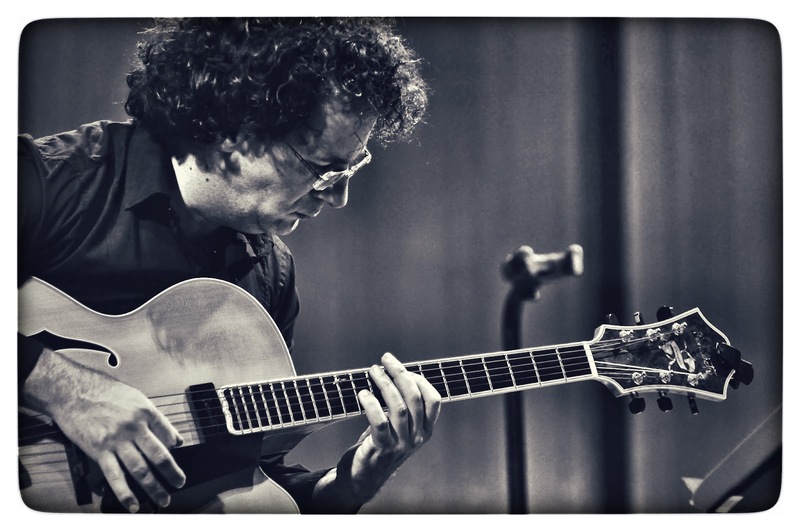 Little later I heard a french guitar player Fabrice Eglin, he played a very sensual feedback guitar. Heard them gave me the desire to play guitar again, so I bought a cheap electroacoustic Yamaha and asked to Fabrice to play together. He accepted and we start a duo under name Howlin'Ghost Proletarians. We play kind of abstract blues with feedbacks. In same time I met a Japanese photographer Kumiko Karino and I play solo guitar on her pictures slideshow. Her pictures influenced my music too and open my ears to Japanese enka music. I tried mix Blues and enka music on her pictures. But my roots i think it is noise and industrial music. That open my mind about what is music. Now I play everyday in my room, I dont practice, just in a feeling way kind of enka blues. How would you define "danger" in an artistic work? No danger. What is danger for a musician? I cant believe that. Art is cut with the real world. It is just its mirror. We can broke the mirror and what? Of course some music could change our lifes or thinking views but nothing more. It is important for me but silence too. Today you can play everythings nobody take care, no fighting, no real critic. We are in consensual world and peoples know everythings in surface. Music is like paper wall. New generation likes extreme stuffs, it is just fun for them and others dont care. It is really marginal, no effects on society. Like rap or noise it is just fashion stuffs. No danger. A blues don't sound like its roots but like mine. In noise too I try put a blues feeling. My music is blues music. Nothing more, nothing less. Maybe I arrive at an age or you dont need to impress others, you do your stuffs in your side. Sometimes I think I'm like an old story teller. How do you experience time? How do you experiment with time in your music? I learnt from Keiji Haino and Taku Sugimoto about time in music. Im still a speed guy but i still keep in mind the japanese concept of Ma. But most of time I forget it (laugh). I play in different duo projects and I try follow my partners in their time and space. 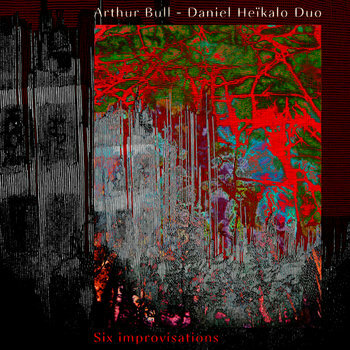 Some music need long duration for exist full like my duo with Rinji Fukuoka, other is like a punch, you say everything in 10 or 20 minutes, you dont need more time. Time is my feeling of time. I dont know if audience has the same time experience than me. Everybody has his own time, sometimes we meet other times and something appear or not. 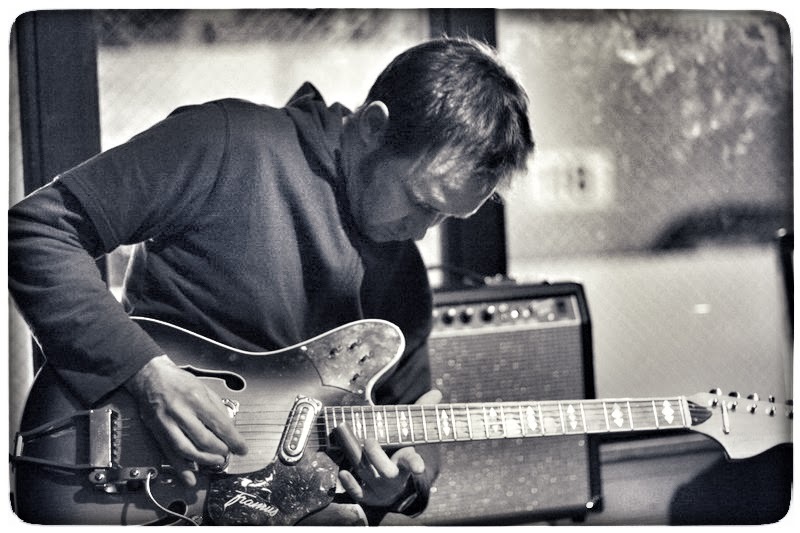 I'm really lucky I played with most of the musicians I wish to play with: Junko, Rinji Fukuoka, Masayoshi Urabe, Tetuzi Akiyama, Mattin, Bruce Russell, my friends Thierry Delles and Yves Botz in Dustbreeders. 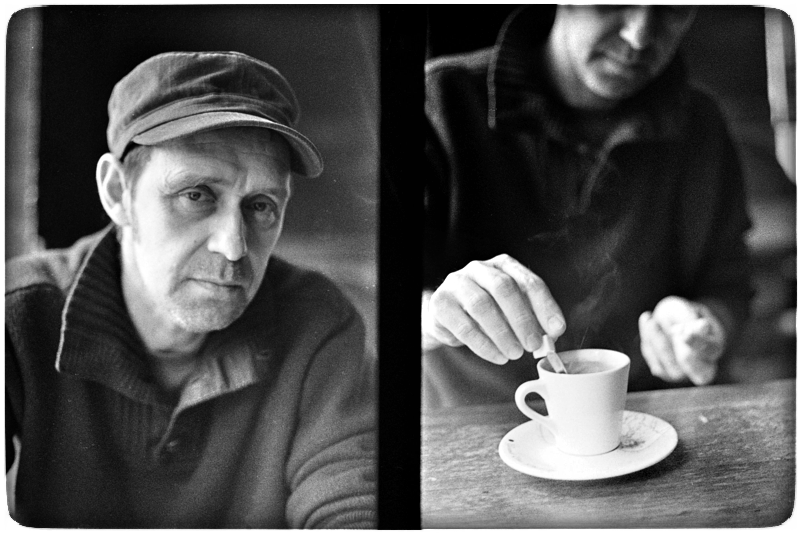 Today with Christophe Langlade. If i could i loved play with Keiko Fuji (enka singer suicides last year). Maybe with David Eugene Edwards, I'm fan of his folklore. Be a sideman of Kazuki Tomokawa or Kan Mikami. Few years ago maybe I gave you very different answer, I was more interested by so called experimental music, today I don't care about modernity, new. It is just a fashion or an empty concept. 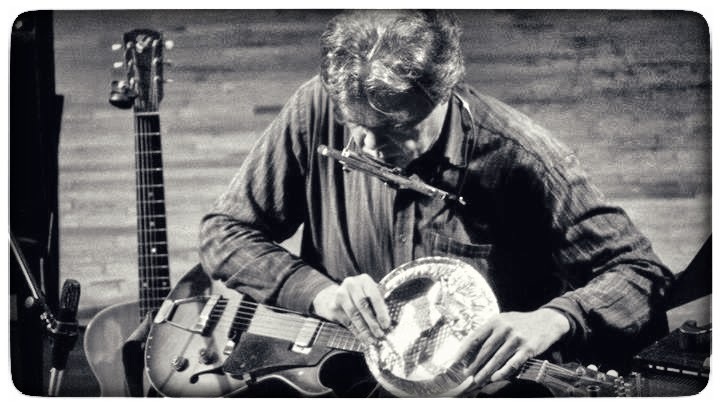 In Marc Ribot interview he wrote « use your mistakes, your blunders, amplify them, it is part of you of your sound ». I still keep this advice in mind. It was great lesson. 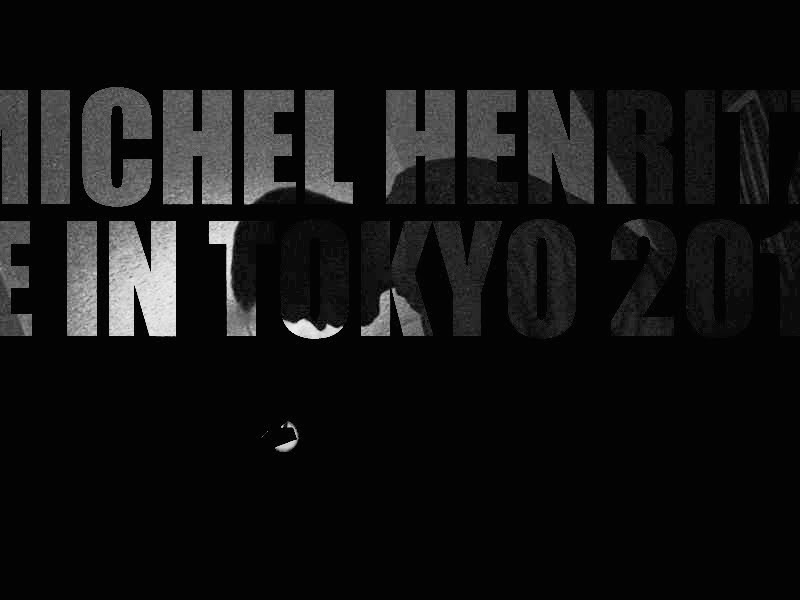 Michel Henritzi & Rinji Fukuoka duo, live in Gari Gari, Ikenoue (Tokyo), on May 5th, 2014. I have an old Framus television guitar, i love it. 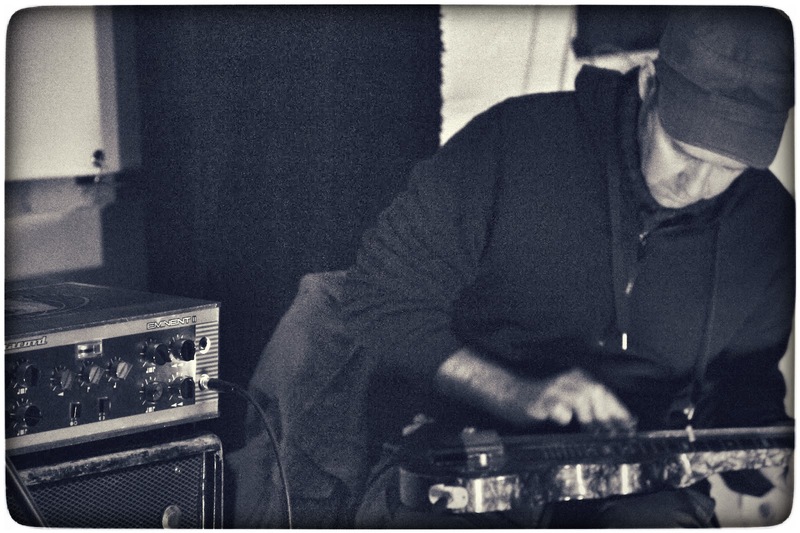 I have several lapsteels too : National, Oahu, Rickenbaker, Harmony, Hofner, Guyatone … I play more and more lapsteel especially in my noise and psychedelic projects. I use many guitar effects boss and mxr. And Fender amp. In Japan my friend Rinji lends me a Gretsch solidbody guitar, i like gretsch sound. I like buy an Harmony guitar or a Jazzmaster, but no money yet. After i plug my guitar, before my sound dies. I have several projects I'm working on. 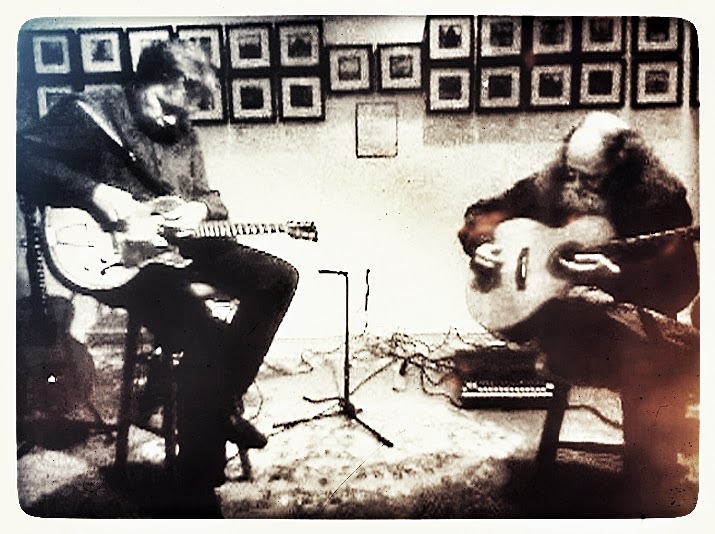 A duo with Japanese guitar player Shinichi Isohata, covers of Keiko Fuji. New recordings with Rinji Fukuoka inspired by Tony Conrad and Henry Flynt. I finished recordings with Junko, kind of rock'n'roll tracks mix twang guitar and her screamings. 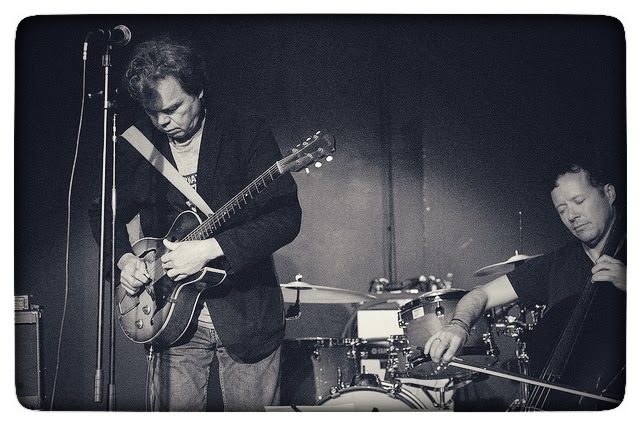 Our new guitar duo band with Christophe Langlade named O'death Jug, we have 3 records ready but no label (laugh). I plan a duo with Tetuzi Akiyama and songs recordings with A Qui Avec Gabriel on accordeon. I finished some soundtracks for 2 movies too. And we play again with Dustbreeders after long months we stopped. Still play my solo enka blues stuff too. 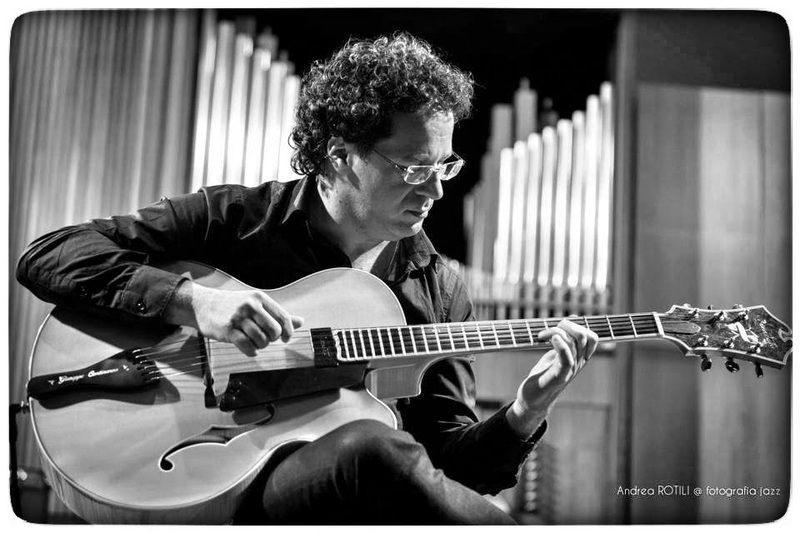 Giuseppe Continenza has been playing guitar since the age of seven. 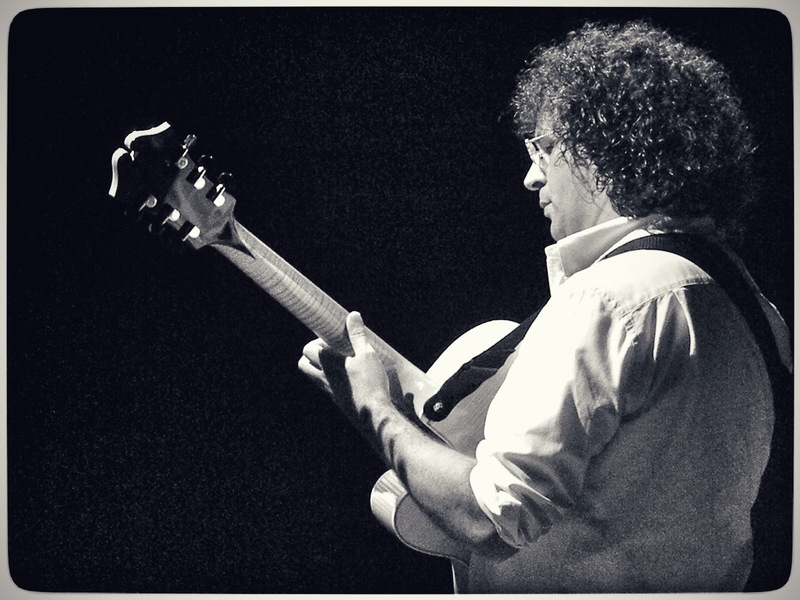 He studied classical guitar at the Classical Music Academy in Pescara, Italy and later moved to California to study at Musicians Institute in Hollywood, graduating in 1992. Giuseppe has performed and recorded with many renowned artists including Bireli Lagrene, Joe Diorio, Jimmy Bruno, Martin Taylor, Bobby Watson, Gene Bertoncini, Gary Willis, David Friesen and Jack Wilkins. His last recording, Seven Steps to Heaven (with Vic Juris, Dominique Di Piazza and Pietro Iodice) hit #4 on the iTunes charts. 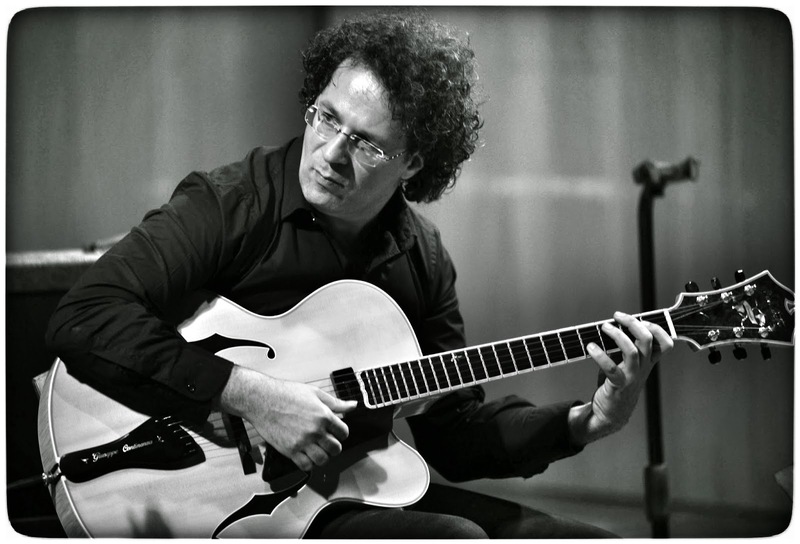 In 1994 he founded the European Musicians Institute (EMI), one of the most advanced jazz schools in Europe. 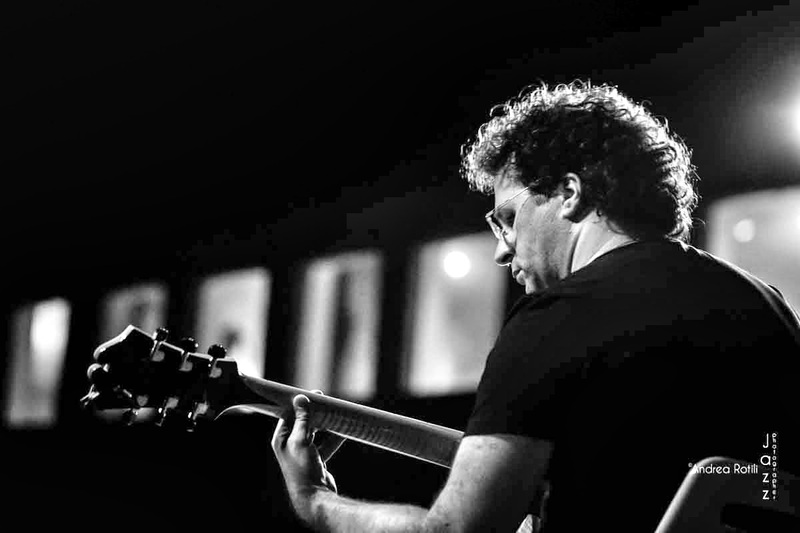 Giuseppe also contributes and writes columns in many magazine publications including Just Jazz Guitar (USA), Guitar Player, Guitar Club, and Jazzit. Giuseppe is touring since last spring with Biréli Lagrène (featuring the additions of the incomparable Dominique Di Piazza on bass, John McLaughlin's bassist) or Gary Willis (Wayne Shorter, Allan Holdsworth) and Michael Baker on drums (Joe Zawinul, Wayne Shorter’s drummer) and he recorded a new album entitled Tribute to Jobim, featuring Gene Bertoncini, Dominique Di Piazza and Pietro Iodice. He endorse Benedetto Guitars, Buscarini Classical Guitars, DV Mark Amps, Eventide Effects, Seymour Duncan Pick Ups, La Bella Strings & Reference Cable. It was a Blly Childs album ... I love his composing skill as well he is a very inspiring musicians. Music is all for me. It give me peace, love, inspiration, ambition and so on! I love the way every day I live music with projects and thinking how many think I want to involve in my playing. Actually there are many. 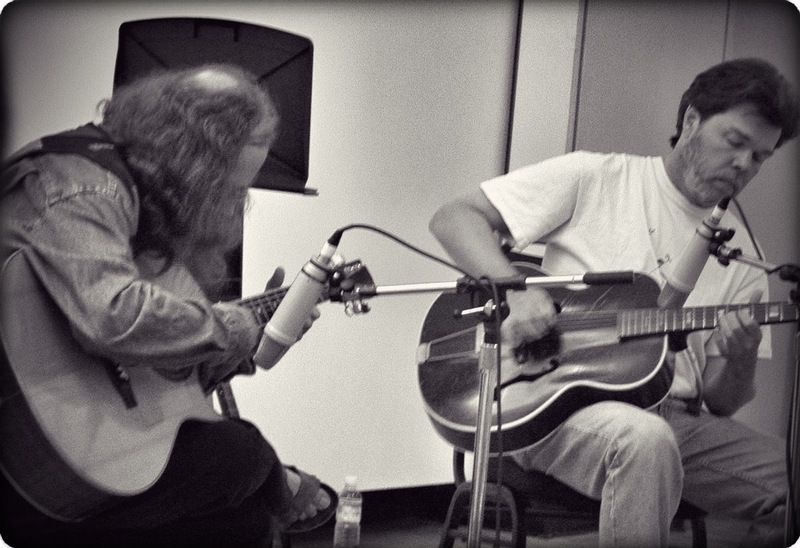 I was recording and playing with so many great musicians, I love all of them, everybody has a personal voice. I was impressed by all of them Joe Diorio, Scott Henderson, Gene Bertoncini, Vic Juris, Jimmy Bruno, Jack Wilkins, Martin Taylor, John Stowell, Dominique Di Piazza, Gary Willis, Michael Baker and many others. I am very proud of my collaboration with Biréli Lagrène. We met in 2000 and we did the first tour together and we are still playin and touring on these days . In my opinion he is one of the most talented musicians in the planet. He was playing with Jaco Pastorius since he was 19 and he a prodigy he was touring as a solo jazz guitar performer when he was only 13 years old! Plus he can play every instrument like violin etc and of course he is a great person we are like Brothers and we love to make music together. We did playing in quartet with Gary Willis (Wayne Shorter, Tribal Tech) and Michael Baker (Joe Zawinul, Jimmy Smith) and it was fantastic wonderful musicians at top level. What's the importance of practice in music, in your opinion? I think it's very important to have a goal each week in order to get a target in your playing. I love to study, develope, discover and I'm still studying a lot when I have time. And i advice new students first to get a great teacher who can really show you the way to know your instrument, i teach since a long time and i think it's very important and second get great records and start learning a repertoire of standards so you can comunicate with other musicians. Transcribe some phrases of the player you like and get a good sound from your pick and finger as well from your amps and effects if you use them. 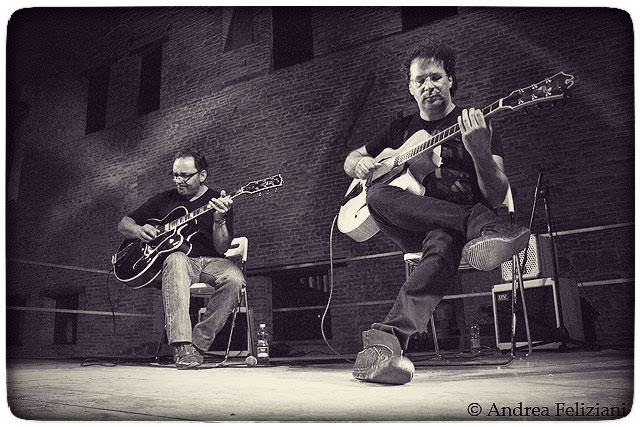 I teach jazz guitar in Conservatory of Pescara, Italy and at European Musicians Institute a vocational music academy. What’s the difference between a good guitar and a bad guitar? 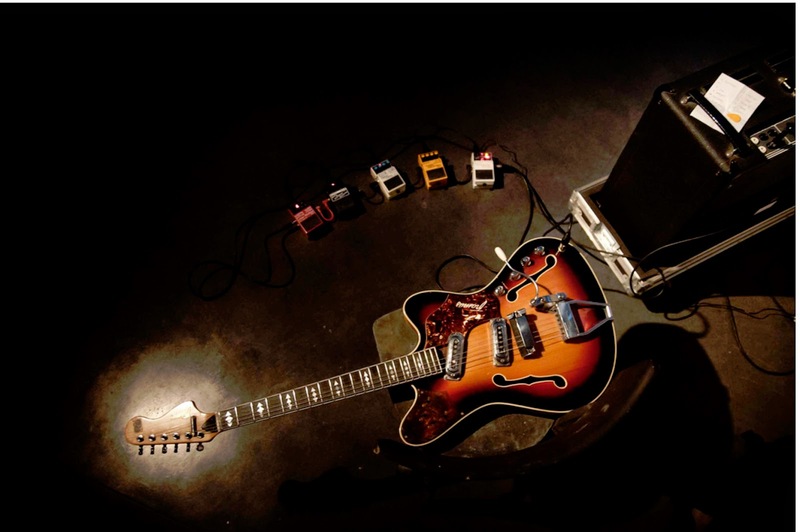 Which guitar and gear do you use? I think it depends on who is playing it ;) Just kidding, I thinks the great guitar has her own voice and you reconize just playing her from the first time. I'm an endorser of Benedetto Guitars since 2003 now and I love my Benedetto Cremona Custom, warm sound, great neck and wonderful even acoustic . Benedetto is the best guitar I played in my life! So I use it live and in studio and playing it make me feel in heaven. I'm using a Barbera Transducer for make it more acoustic and it's just great! Plus I use Buscarini Classical Guitars that I just love! I'm also endorsing DVMark Amps I've got differents models for different situation. I've got the Little Jazz Model recently and me and Bireli use it in our last tour. Plus I use La Bella Strings, Eventide Effects, Seymour Duncan/Benedetto Pick Ups. Digital Music is the way we use music today so i think it's a good think in terms of diffusion but it's for sure less incoming for all of us. You Tube for example is a great way to make world know about your music and many musicians get famous because of it. Actually I'm pretty happy about my sound, I use mainly reverb and delay for make it special, in my case Eventide Time Factor and Space Reverb, For classical and acoustic guitar just reverb. When I want a fusion sound I'm using DV Mark Multiamp I just bring it with a midi pedalboard and I can get all the sounds I want from rock, country, funk, jazz etc. One thing do you have learned with effort through the guitar? 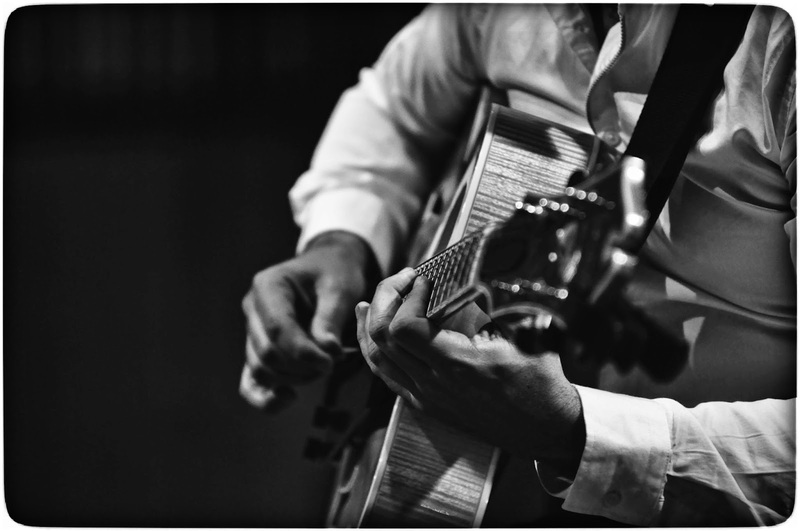 Guitar is a difficul instrument and it need love to make it sound great! He is like a woman more love and time you'll give to her and more she will give back to you. What was the best moment of your musical career? Thanks God I had many highlight on my musical career but I think touring with Biréli Lagrène was the best of them. We play together like we know each others from a life and the audience can feel that. Plus with Joe Diorio, Vic Juris and Gene Bertoncini we ha many great moments. With Vic and Dominique Di Piazza ( a wonderful Bassist) we did 2 records together and I'm happy of them. I love Picasso and I think I would love to meet him and Leonardo Da Vinci he was a genius in everything! I've a few projects upcoming first my new record with Gene Bertoncini (many people doesn't know he was the first guitarist who record with Wayne Shorter in the album "Odissey of Iska" from the '70 with Blue Note and Wayne asked him to join Weather Report but he was too busy as a studio musician too in NY so I didn't accepted it) with Dominique Di Piazza (John McLaughlin's bassist) and Pietro Iodice on Drums, I will tour summer and fall with Biréli Lagrène and we problably will do a record as soon as possible. 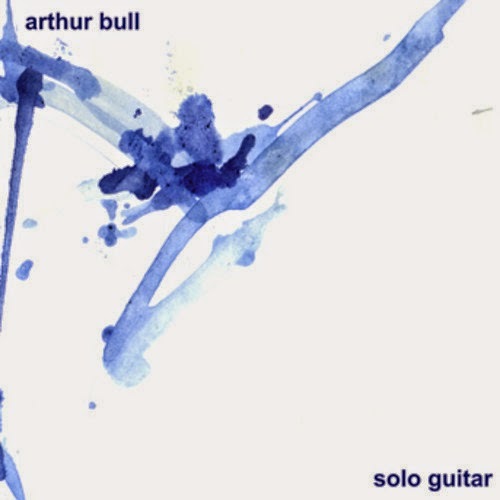 Arthur Bull is a veteran guitarist and harmonica player on the Canadian improvised music scene. 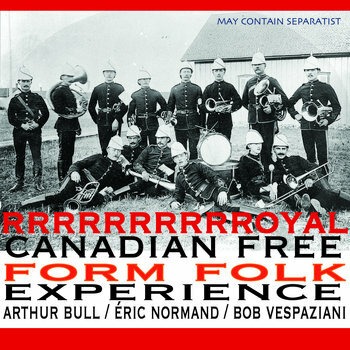 In the 1970’s he played with the Monday Night Orchestra, and many recognized Canadian improvisers, including the CCMC, John Oswald, Stuart Broomer, and many others. 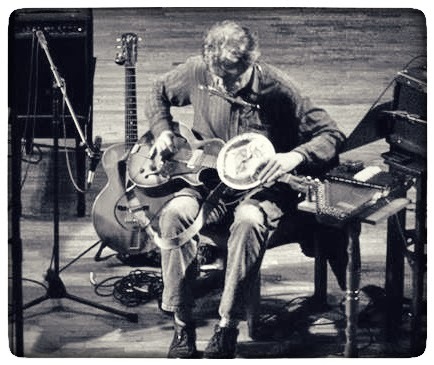 In the 1980’s he toured and recorded as guitarist with the Bill Smith Ensemble, was a member of the duo Duck Soup, with Bill Smith, and performed with the Four Horsemen, Paul Dutton, John Heward, Michael Snow, David Lee and David Prentice. 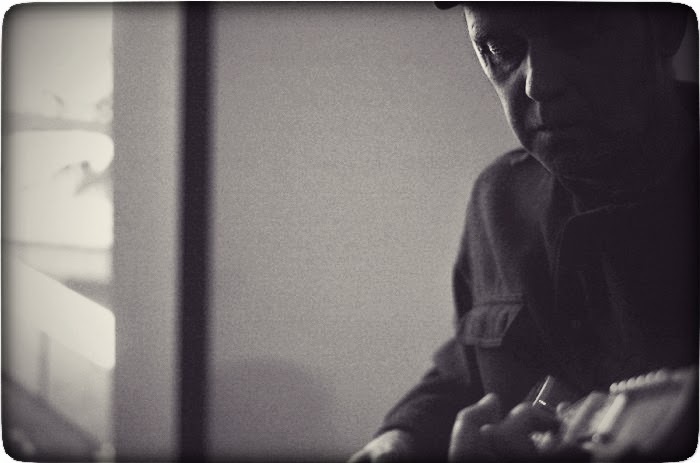 Since then he has performed with many of Canada’s most recognized improvisers including Paul Plimley, Norm Adams, Paul Cram, Hank Bull, Tena Palmer and Bob Vespaziani. 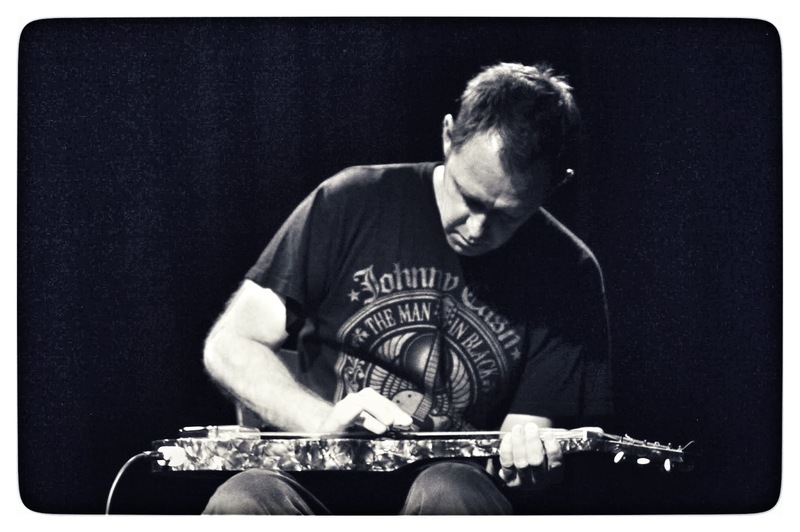 He has also performed in concert with Roscoe Mitchell, John Tchcai, Joe McPhee, Peter Kowald, Paul Rutherford, Derek Bailey, Fred Anderson, Roger Turner, Kidd Jordan, Mike Cooper, John Russell, Pascal Marzan, Magda Mayas, Luca Venitucci and Fabrizio Spera. In 1996, he met Daniel Heïkalo, who as lived nearby in rural Nova Scotia (a 2 hour drive). 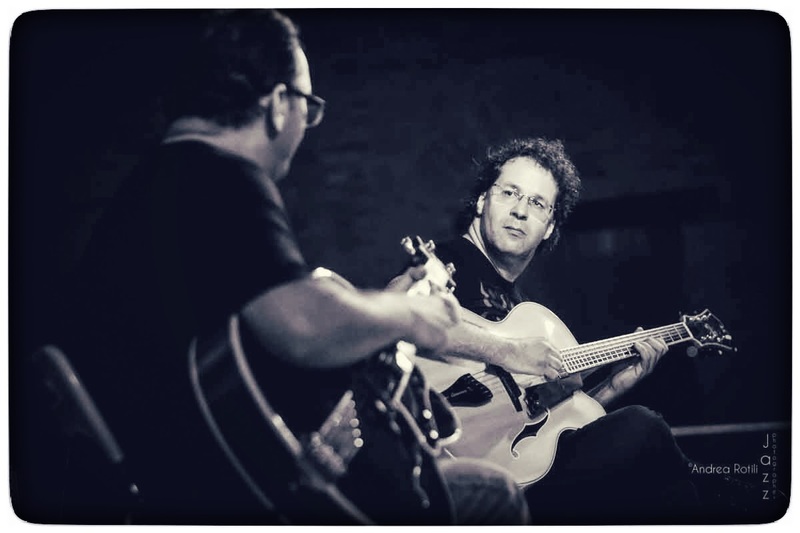 The duo has collaborated closely since 1999and has recorded CD Dérapages à Cordes on the label Ambiances Magnétiques in 2000, followed in 2001 by Guitar Solo, in his friend's label Heïkalo Sound Productions. In that year, the duo appeared at the Festival International de Musique Actuelle de Victoriaville. 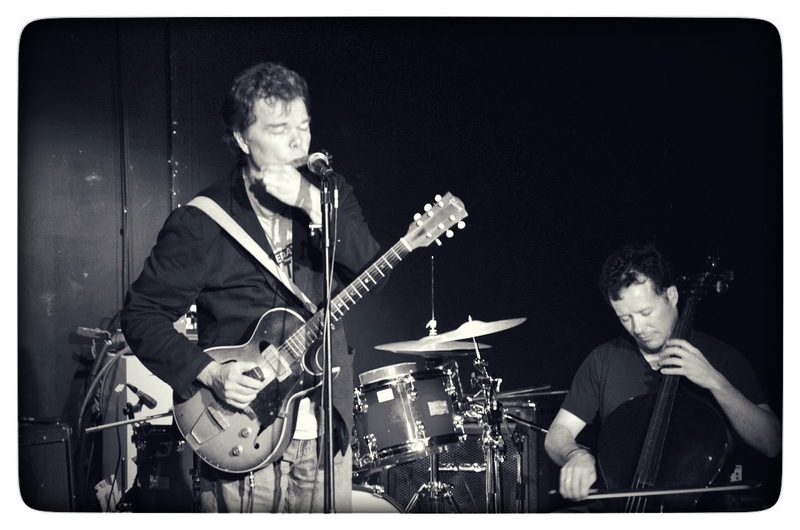 In 2002 they performed at the Guelph Jazz Festival and Guitarévolution (Montréal). 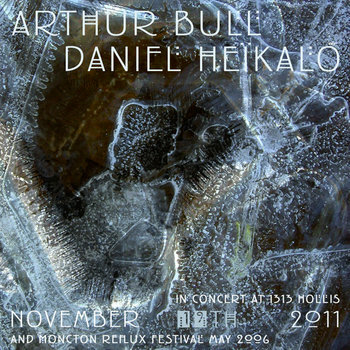 Arthur Bull lives on Digby Neck, in a small fishing community on the Bay of Fundy in Nova Scotia, with his artist and musician wife, Ruth Bull. 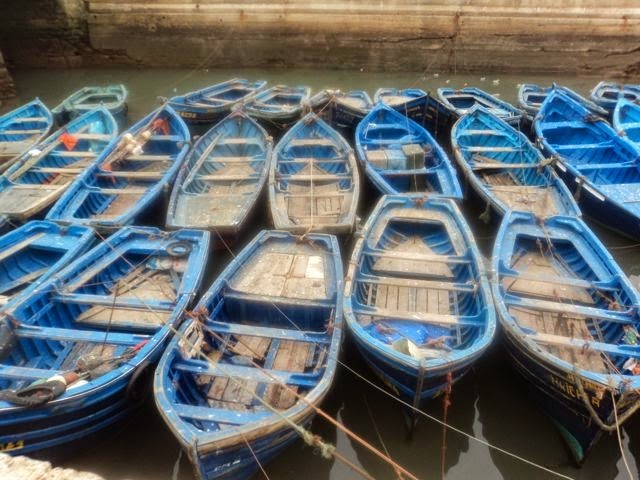 and has been a long time activist for small-scale fisheries. He is currently an associate staff member of the Bay of Fundy Marine Resource Centre, and a policy advisor for the World Forum of Fisher People (WFFP), a global social movement for small-scale fisherfolk. In the past he has held various positions related to this work including, President of the Bay of Fundy Inshore Fishermen’s Association, Executive Director of the Fundy Fixed Gear Council, Chair of the Nova Scotia Coastal Communities Network , Executive Director of Saltwater Network and Co-director of Rural Communities Impacting Policy project. He has also worked as a senior policy analyst for the Nova Scotia government. Before getting involved in the fisheries, he worked for twelve years in the community-based adult literacy field. 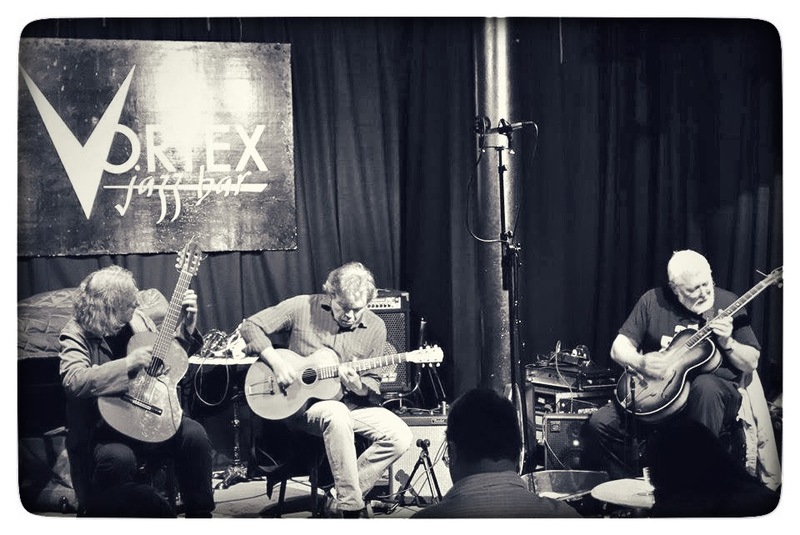 In the past year he has worked on a number of recording projects including a session with a trio with John Heward and Adam Linson, a song project with Éric Normand and a project on the soundscape of Halifax harbour with his brother Hank Bull. Which was the first and the last records you bought with your own money? What do you think about teaching? Do you remember specially any of your teachers? A good teacher should encourage the student to discover her or his own unique voice. I have only had one teacher, quite late in my playing life, Lloyd Garber, who had this ability, and was very helpful to me. 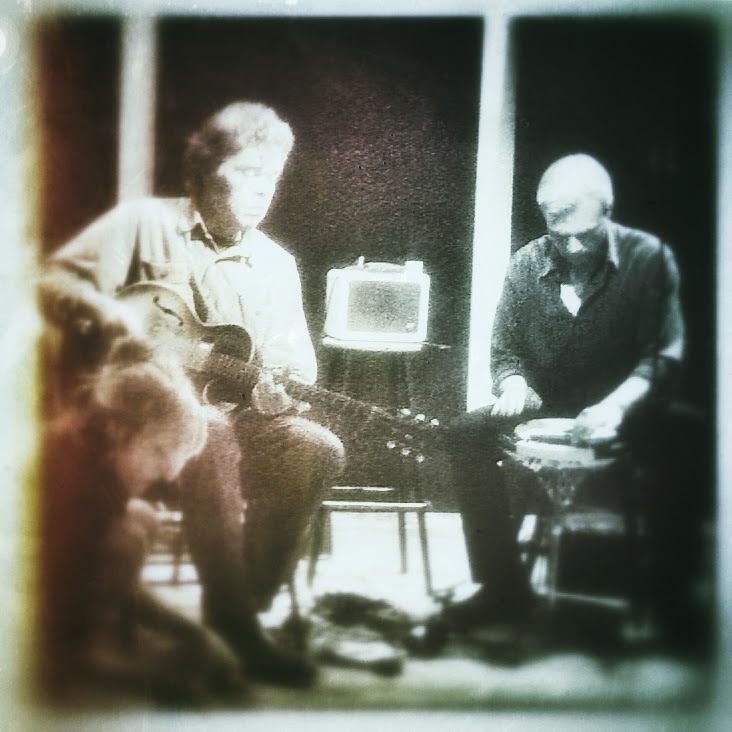 Ammo By Roger Turner and Phil Minton. It expanded my sense of what improvisation is all about.